LAS VEGAS — The U.S. Postal Service will soon release a special souvenir sheet of stamps that call to mind a famous illusion. 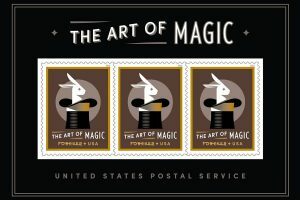 The Art of Magic souvenir sheet will feature three identical stamps that show a white rabbit in a black hat. By rotating each stamp, you can see the rabbit “pop” out of the hat. The Postal Service used lenticular printing, a method that creates the illusion of movement and depth, to produce the stamp. Art director Greg Breeding designed the stamp, and Jay Fletcher created the illustration and served as the typographer. 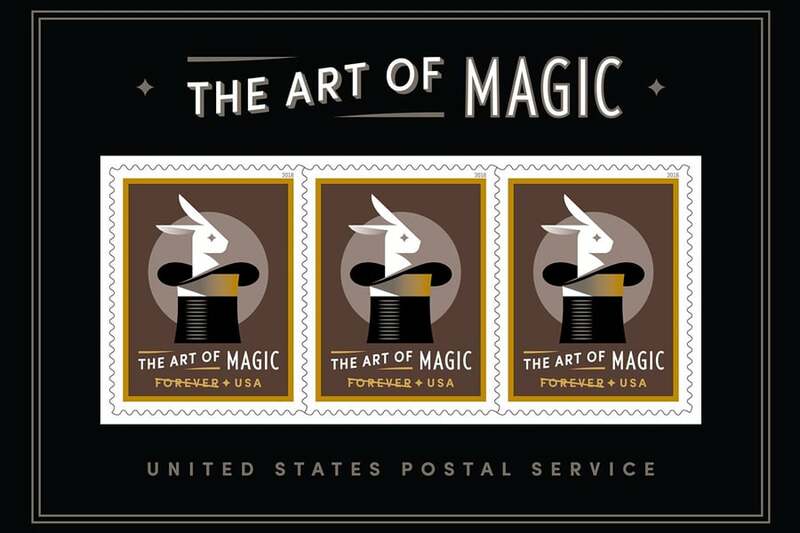 Another version of the stamp, without the magical effect, will also appear in a pane of 20 of The Art of Magic stamps that feature classic depictions of magic. This pane will include stamps that show a fortune teller using a crystal ball (prediction), a woman floating in air (levitation), an empty bird cage (vanishing) and a bird emerging from a flower (transformation). The Art of Magic stamps on both the pane and the special souvenir sheet are Forever stamps. Forever stamps are always equal in value to the current First-Class Mail 1-ounce price. USPS will release the stamps Tuesday, Aug. 7. Very cool. I’ll be first in line at my branch…. The stock number on these is 565204. They are ready to ship and can only be ordered by phone from the USPS at 1-800-STAMP-24 (1-800-782-6724).